More you buy, more you save now at adidas Canada! Enjoy a new online offer. 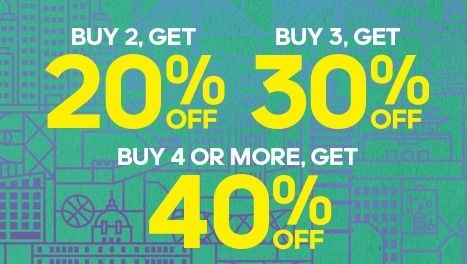 Buy 2 items and receive 20% discount, buy 3 items and receive 30% discount or buy 4 or more items and receive 40% discount. Offer is valid online only. The offer is valid through December 22, 2015. Official source of the information is adidas Canada. More details about the promotion available on the official website.